Newcomer Family Obituaries - Suzanne M. Allen 1937 - 2019 - Newcomer Cremations, Funerals & Receptions. Suzanne Mary Allen, long time resident of Lakewood, died peacefully at home on April 13, 2019. Born in Nyack, New York on May 11th, 1937 to Helen (Kleese) Faille and Clinton H. Faille, Suzanne was one of four children. She excelled in school and graduated from college with a Bachelor of Arts. Suzanne moved with her family from New Jersey to Colorado in 1972. She enjoyed hiking, reading, going to plays and concerts, and spending time with her ever-growing family. She took great pride in the accomplishments of her husband Arthur, and those of her children and grandchildren. 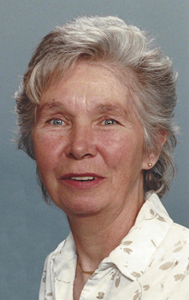 She taught math to adults, reveled in their success, and enjoyed preparing taxes for others each spring. Suzanne was an adventurer at heart. She tried almost everything including skiing, snorkeling, bicycling, hiking, singing, traveling, river-rafting and riding in a helicopter. Her spirit inspired all that she met. Suzanne is survived by her husband of 62 years, Arthur, her three children Michael, Julie and Thomas, her grandchildren Sabrina, David, Shannan and Devan, and her great-grandchildren Vance, Jayson, Aeryous, Kyla, Melia, Xaviar, Ella, and Kalie. Memorial gifts may be made to the Denver Rescue Mission, PO Box 5206, Denver, CO 80217. Newcomer, 901 South Sheridan Blvd, Lakewood, Colorado has been entrusted with arrangements. To share a memory or leave a message of condolence, please click in the "Share Memories" button above. Add your memories to the guest book of Suzanne Allen.